I knew from the outset this would not go well. In principle, the apple bran coffee cake on Page 227 of Prudence Hilburn’s book has all the right flavors: crunchy apple, smooth butterscotch, homey bran, zingy sour cream and a pecan crunch. But when reality rears its unsavory head and those flavors come in the wrong proportion or an unnatural form–as happens here, in spades–the process can only end in tears. Or, perhaps, in Type 2 diabetes. First, a single cup of grated apple is not enough to make a point, much less compete with the chemical oiliness of a cup of butterscotch morsels (scroll down on this link for their ingredients). If that weren’t bad enough, All-Bran — what IS that stuff? — makes an appearance, ground up with the greasy “butterscotch” chips, to which innocent pecans are then added. This crumbly/powdery amalgamation is mostly dumped into an otherwise benign cake batter, with some reserved for the topping. I’m going to stop here, unwilling to further ponder the waste of butter, flour, sour cream, electricity and the dwindling minutes of my youth required to finish this project. And while I had a passing desire to re-engineer this, using real food, it quickly passed. I’d rather just make my favorite French-inspired, caramelly apple skillet cake and call it even. 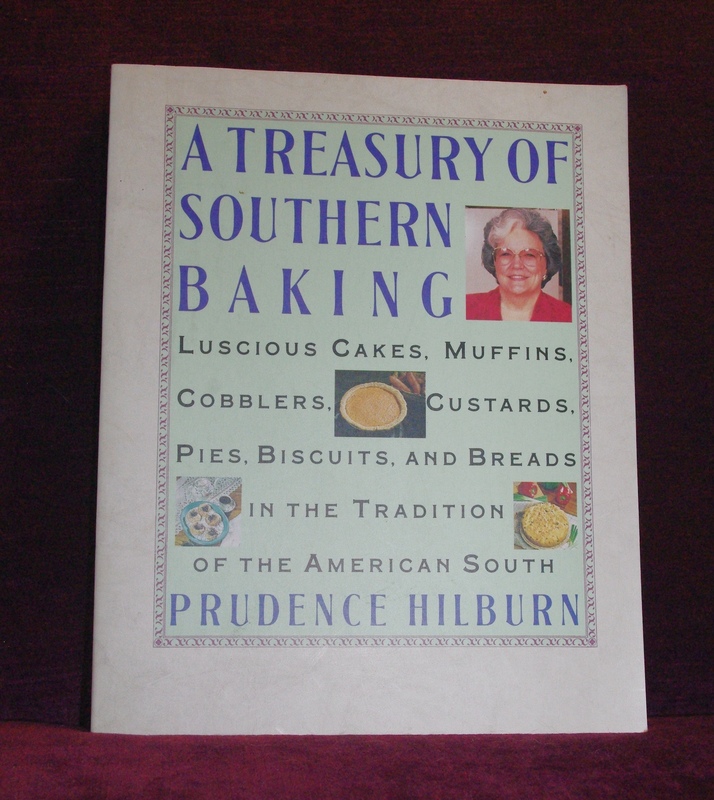 But if you, Dear Reader, are still muddling over why a nice Southern lady would foist this abomination upon us, maybe it’s this: Hilburn is a six-time winner of the Pillsbury Bake-Off … no small trick and certainly an achievement I cannot disparage. But a contest that rewards the use of processed foods over fresh might convince an otherwise competent baker to abandon homemade butterscotch and whole wheat flour for the siren song of bagged and boxed ingredients. Or, this was a leftover recipe that did not make the bake-off cut. Luckily the author’s use of preservative-laden ingredients here does not seem to be the rule for many recipes in this cook book. Indeed, it contains plenty of from-scratch instructions for cakes, cookies, pies and interesting cobblers (e.g., sweet potato!?). This was my first foray into it, but I will give it another go. With the obvious caveats.